.SERPENT Media Archive - Enteropneusta indet. Unknown species of enteropneust. 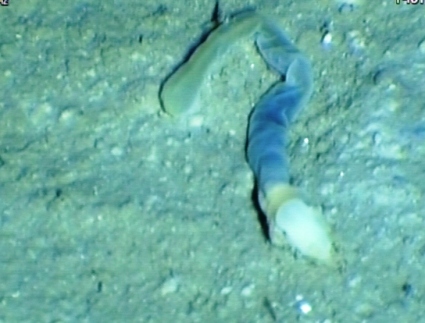 Deep-sea enteropneusts are very poorly studied. They are a priority for specimen collection in future.The specimen here is approximately 100 mm long.